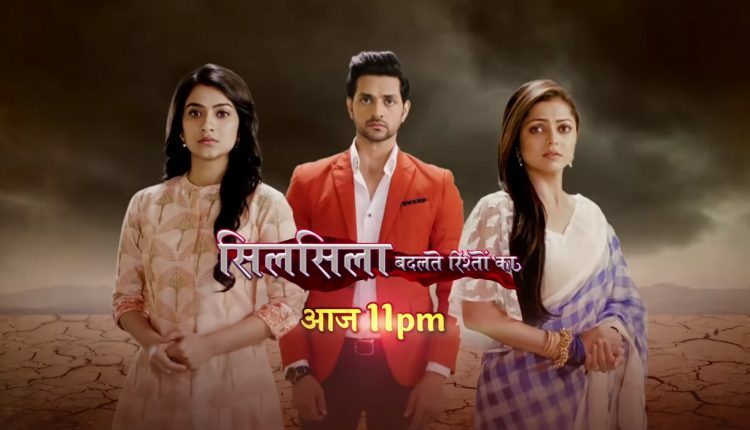 In the latest written episode of Silsila Badalte Rishton Ka 16th November 2018 written update, there is Mauli agrees to marry with Ishaan. The today’s episode begins with Mamma and Dida both were waiting for Mauli as they are soo tensed about her. When Mauli returns and Mamma asks her that why did she go with Kunal for the dinner. She replies to both Mamma and Dida that she went for dinner with Mishti and Ishaan and that Kunal’s presence does not matter to her. She told to her that she was now brave. She is seen distributes and shouts at the house help. Mamma calms her down, but Mauli tells to her that she is not tensed and was relieved after meeting with Kunal as he is very happy in his life. She told to Mamma that now Kunal does not need anyone because he is so brave now and he can matter her lifestyle in a good manner. She further says that he was moved on in life and his daughter is getting love from both her parents, so she does not have any problem regarding for this. Mauli said that even she wants to now move on in her life and told them that she is now ready to marry with Ishaan. Ishaan overhears and Mauli asks to him that if he is ready. To listen to this he said yes I agree and gets happy for this. He told to others that he wanted this for past and now he gets her love that is Mauli. To listen this both Mamma and Dida gets soo excited with the news. Kunal is seen talking to Nandini’s photo. He talks to her and told her about the meeting with Mauli and his family. He said to her that he is very happy to see Mauli happily settles with her husband and daughter. Precap: Mauli and Ishaan’s engagement was fixed after two days. Mishti decided to toll Pari about the good news. She calls to Kunal and gives him the news.